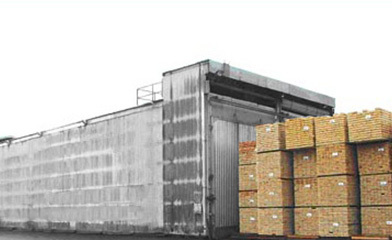 We already offer this interesting variation of timber drying since more than 40 Years. Basically, one can distinguish between the longitudinal air ducts (1975 England) and the transverse air ducts (1985 Germany). 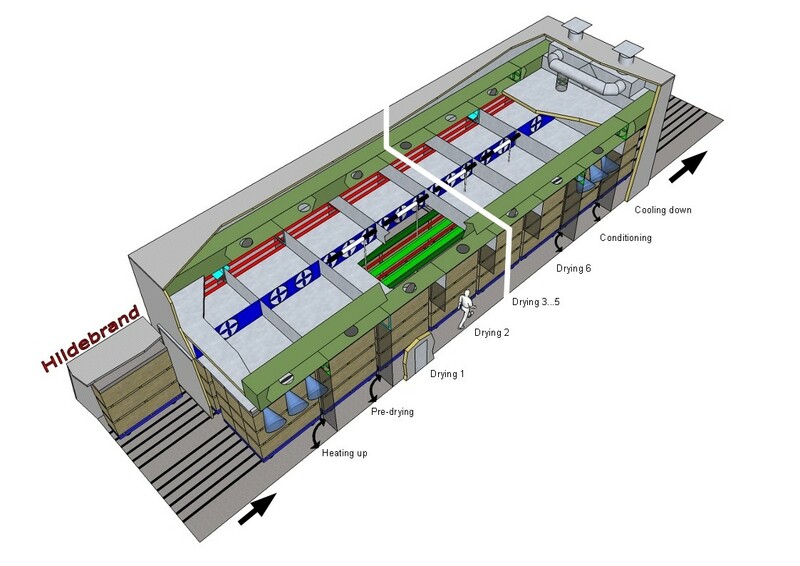 Main advantage of this conveyor belt-like drying is the high and uniform throughput. Due to the fact that the kiln almost never stands still, large sawmills are able to dry effectively very large quantities of lumber.However, this great advantage were usually also associated with a very low flexibility. Board lengths, thicknesses and initial moisture contents almost could never be combined and therefore was not efficient for smaller sawmills. This has changed! With our many years of experience, we have developed the Hildebrand Continuous Dry Kiln-Alexander. This new generation of continious kiln can not only dry all length, thickness and initial moisture of lumber, but also at the same time during drying. This is made possible by the integration of our new Kiln Primezone (KPZ) ©. With the KPZ, our tumble dryer is perfect for the simultaneous drying of different wood assortments and thus achieves unprecedented flexibility! 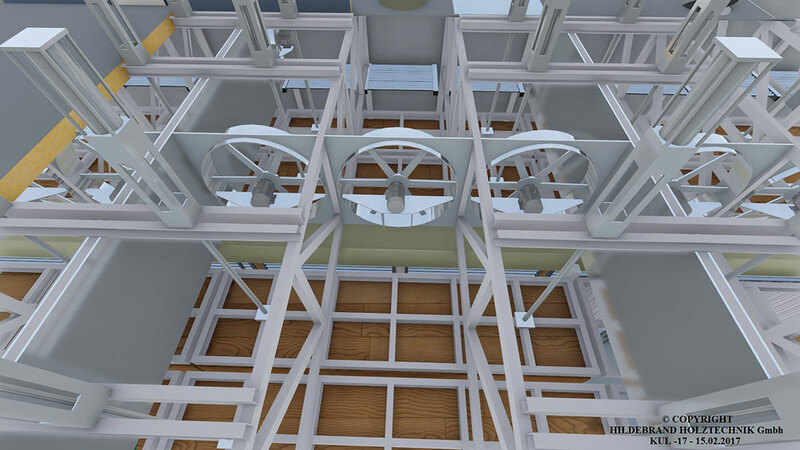 The design of our cross-vented canister dryer with separate drying zones allows optimum control of temperature, climate, air velocities and wood moisture. In combination with other patented processes like Green Kilns and Hildebrand Turbo Technology, this dryer is also energy-saving and environmentally friendly in addition to its incredible flexibility. In order to meet even the most exacting quality requirements, we optionally equip our HCK can heaters with vertical pressure frames for the drying zones. By means of these hydraulically actuated frames, a strong contact pressure is applied to the topmost wooden layers of the packages. Before moving the packages into the next drying zone, the pressure frames are automatically raised and then lowered again. This reliably prevents the uppermost layers from drying out during drying - you get a consistent quality over the entire package cross-section! If you are looking for a tumble dryer, our HCK is perfect for you! 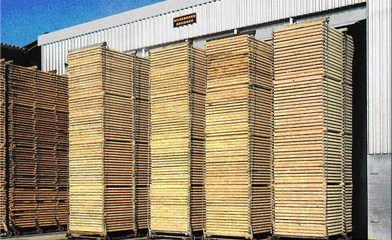 BRUNNER Automatic control systems distinguish themselves as top of the class for modern lumber drying and energy management in persuasive detail. At a time when fast, efficient, quality drying is demanded, we reach this goal by state of the art technology and convincing know-how.